The Liberal Arts and Sciences, of which there are seven, free a person who is informed to qualitatively know the mind and the method of training it through the trivium. Knowledge of the quadrivium provides an individual the freedom to quantitatively discern the aspects of physical nature – the realm of extension (mind does not possess this quality). In human perspective, mind and matter are the total of reality. The Liberal Arts are the study of reality as well as a guide to abundant living in that reality. Until recently, in the West, the study of the 7 Liberal Arts was considered the paramount study; to be sought even beyond the pursuit of Theology. The Seven Liberal Arts and Sciences is composed of two sequential parts, the Trivium and the Quadrivium. The Trivium Method is composed of a 3 step method, of coming to find truth through language and words. The Quadrivium is principally to do with number, and helps in the understanding of our physical environment. 5. GEOMETRY- Number in space. 6. MUSIC OR HARMONIC THEORY- Number in time. 7. ASTRONOMY- Number in space and time. 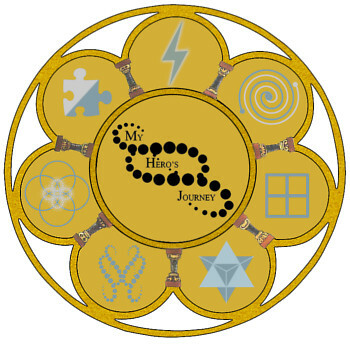 Click here to discover more of the Seven Liberal Arts and Sciences of The Hero.